Disclosure: I was sent copies of each of these books for review purposes. No other compensation was received. This month’s DK Book Round Up features all sorts of wild animals. Sharks and birds and an illustrated atlas span just about every critter you can think of. 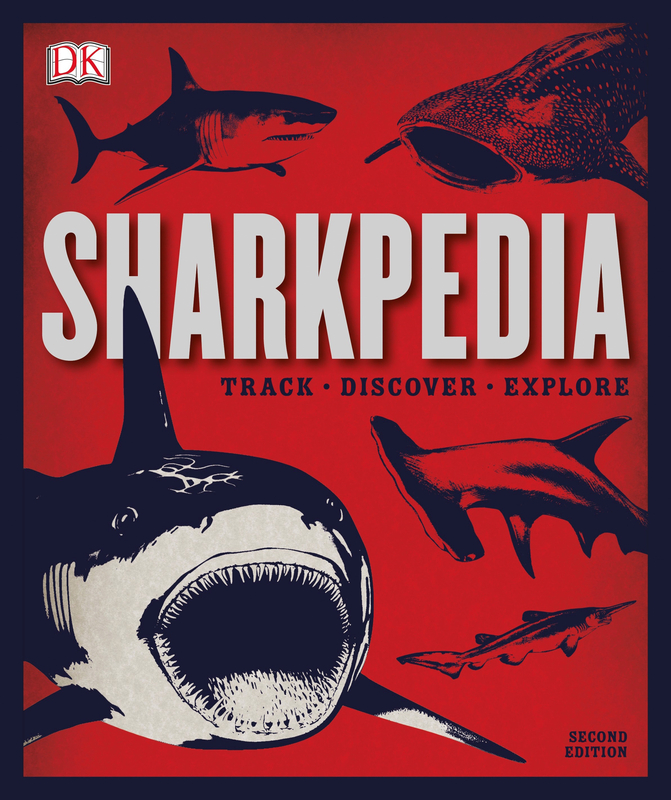 Keep reading and you could win a copy of Sharkpedia for the favourite SharkTracker in your life. First – mostly for the adults. The American Museum of Natural History’s Birds of North America. I have reviewed a couple of bird handbooks before. This is not a regionalized book that you might take with you on an afternoon walk. This tome (it’s 2” thick) is best reserved for your at home reading. This would be great for definitively identifying those birds you snapped photos of while out and about. In our house, it is taking up residence in the sunroom, close to our very busy bird feeder. 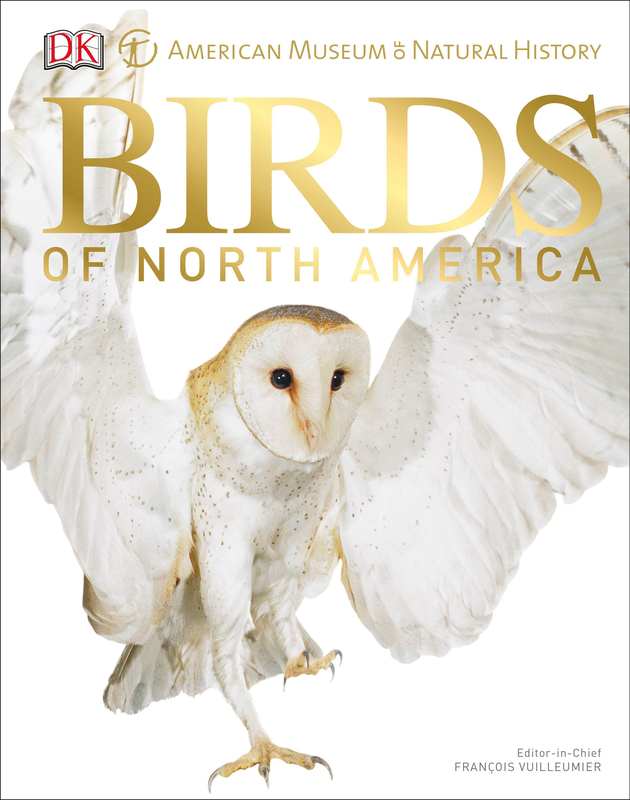 Birds of North America would also make a fantastic starting point for research projects or a school speech. The Smithsonian is the world’s largest research complex. In conjunction with DK Books, they have managed to select just over 600 animals to feature in their Children’s Illustrated Animal Atlas. 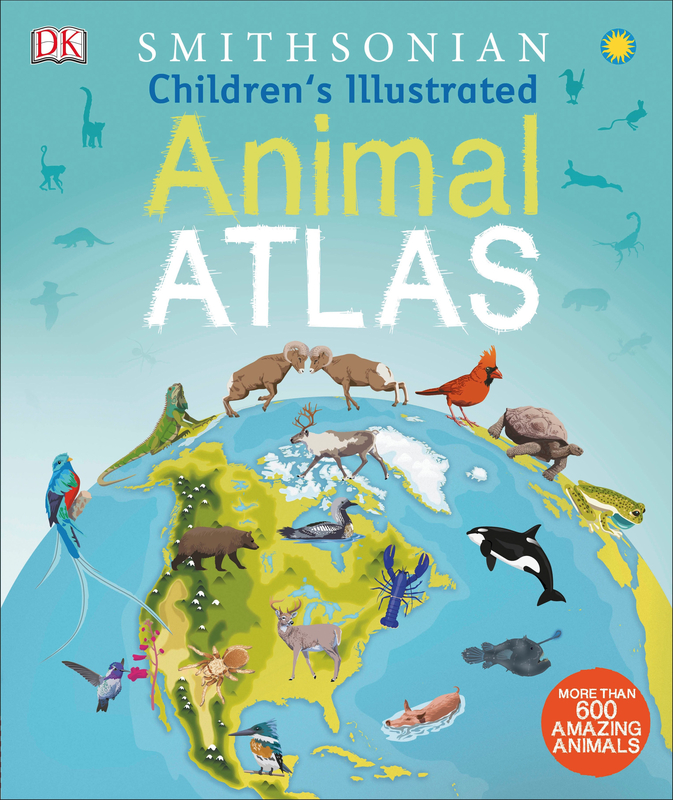 With less than 100 pages, the Animal Atlas is designed to offer little snippets of a variety of animals from across the globe.This book would be a wonderful addition to a primary classroom or a young adventurer’s home library. And now, for the piece de resistance – Sharkpedia. Everything you never knew you wanted to know about sharks. Separating fact from fiction, Sharkpedia takes on the task of giving us a well-rounded picture of these often terrifying creatures. The bits of folklore sprinkled throughout are the tidbits I found the most fascinating. Did you know that a sailing captain was once convicted because the log book he’d tossed overboard was found in the stomach of a shark? Or why it is that divers wear a shark’th tooth around their neck? If reading about sharks has caused you towant to join in the effort to save them, Sharkpedia offers a helpful assortment of resources to get you started. One of my very lucky Canadian readers has the chance to win a copy of Sharkpedia. Enter using the Rafflecopter form below. Odds of winning will depend on the number of eligible entries received. Not responsible for lost or misdirected entries. Contest closes October 30, 2017 11:59 pm ET Approximate retail value is $17. Good luck everybody! 58 Responses to "Get Wild With Wildlife Books from DK Canada"
I would say 10 if I am in the Ocean. 1...because I don't go where they're a threat. I feel like my fear is a two right now but if I was actually in danger it would quickly climb to an 11. For me it is a 10!!! 5. I guess I'm neutral as I don't intend on swimming ANYWHERE near where sharks inhabit! My fear of sharks is 10 in their territory. Maybe 6 but it would probably higher if I was near an ocean! It used to be an 11 but now I'll go in the ocean. I would say it's around a 7...still higher than I'd like it to be. I'm quite fascinated by them..
Maybe a 5 or so because I generally don't hang out in the ocean! I have little fear of sharks being a landlubber but if I encountered one, my fear would shoot up to a 10! I must admit it is a 9. A 1 I guess. I can't see ever encountering a shark in the wild, like at the local beach lol. I haven't encountered one but for sure it will be a 10. If I came face to face with one it would be a 10! I would say probably a 5. If you get under them, they cannot dive. This is good to know when scuba diving! Thanks for the super giveaway opportunity. My fear of sharks is probably around 5. None live near me. Like 9!! Thanks for the chance! For me the fear is about a 7. We lived in California for a year, not far from where there was a shark attack. Although we now live back in Canada, we visit California every year, and the sharks are always on my mind when we're in the water; that being said, my fear when there is probably only about a 4 because the water is so cold we don't go out too far nor do we spend a lot of time in it. We also love to visit Hawaii and Australia, and it is in those two places that my fear rises to 7. We swim farther out in Hawaii especially, and have swam near sharks in Australia (we could see them below us); now that we have children, I prefer to stay closer to shore, and I am definitely afraid of them. I'd say my fear of sharks is pretty high, around an 8. 0, I don't fear sharks, I actually love them.....a lot. 0, I do not have any near my home. But they are interesting for sure - I am most interested in the extinct and smaller ones. I feel uneasy about sharks. 0, since I don't live anywhere near an ocean! My fear is 10 if they are in the water I'm on the sand. I suppose a 7. I still snorkel. Well I think if I lived near them I'd be a 10, but I'm probably more of a 5. So basically my fear of spiders is higher. I think I might have traveled 3 times in my life where I might have been near or seen a shark. I have always been facinated, rather than afraid of sharks. I have a special needs kindergarten class who would love this book! I'd say a 10+ just like my fear of spiders. 2- I think they are very interesting. 10 I think, since I do not know how to swim and never been in shark waters. 10 - sharks definitely scare me! I'm deathly afraid of sharks... so a 10 for me! A 10 for sure all those teeth!!!! My fear of sharks went to a 10 after watching Jaws! My fear of sharks is a 10. 7.... I love to scuba dive and see all of the ocean creatures. My son is so interested in sharks so would be awesome to win this for him. Thanks for the chance. Pretty much a 10 - I used to have nightmares there were sharks in the swimming pool when I was little.